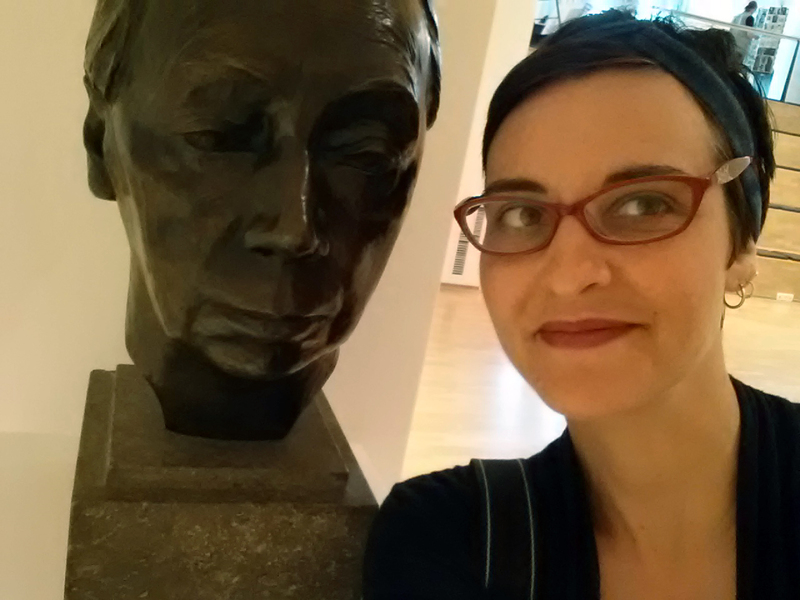 I had dreamed of going to the Kathe Kollwitz Museum for over 15 years. I so desired to see a whole collection of her original artwork in one place. As of a week ago, I can finally mark this one off my bucket list. What do you need to inspire you? Do you have a sort of bucket list for your artist self? Certain original works or artists you must be in closer contact with? I encourage you to pursue them. While I had always imagined walking through these specific museum doors, I had not pictured what it would look like coming with a family. My two small children didn’t appreciate the depth of Kathe’s work as much as I wish they had. They wanted to rush me along. I think it had something to do with the urgent need for ice cream. Instead of having the uninterrupted time to take in each piece as had I desired, I was pulled in different directions. However, my husband helped out a huge deal, knowing how much this visit meant to me. I also found it made a difference when I actually took the time to explain to my six year son just how much it was a dream of mommy’s to see this artist’s work. In between the juggling, I was still able to take in the work and I found it so very compelling. I also realized that many pieces we know as the more famous images of hers, are not stand alone works, but a part of specific collections that tell a greater story. This changed how I viewed these images when seeing and understanding the intended narrative context. Oh, the power of her mark making! More than in books, to see this larger body of work in person left a deeper impression on me. I admit I even shed a few tears and had to again explain my behavior to my son. So maybe this dream wasn’t exactly fulfilled in the way I would have ordered it, yet it was accomplished and with the joy of having the people I love with me to experience it.